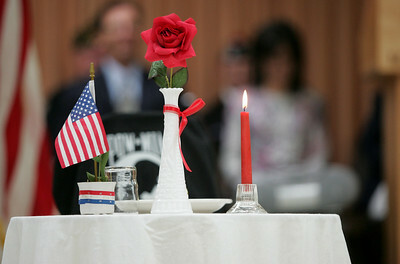 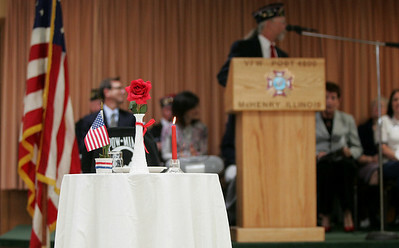 A lone table and chair was set in the middle of the floor to symbolize the POW-MIA who are no longer with us. 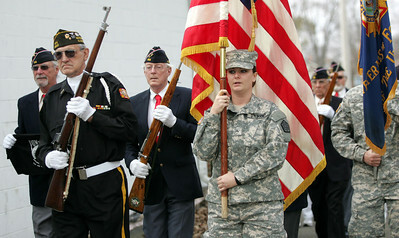 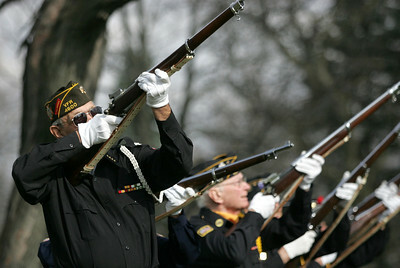 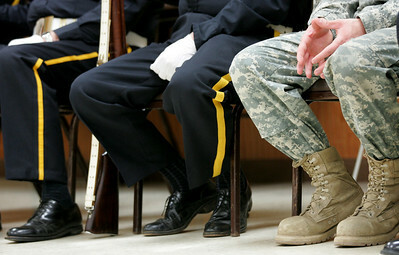 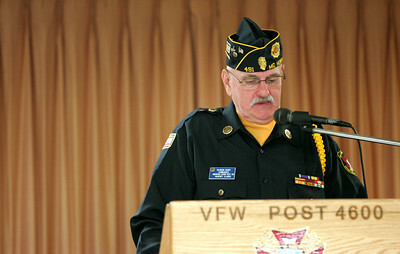 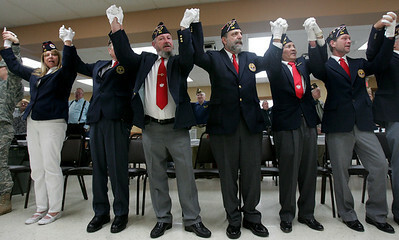 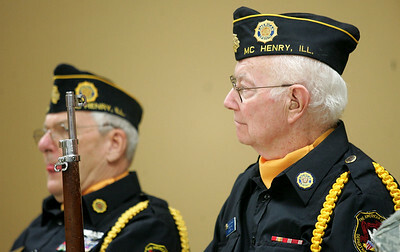 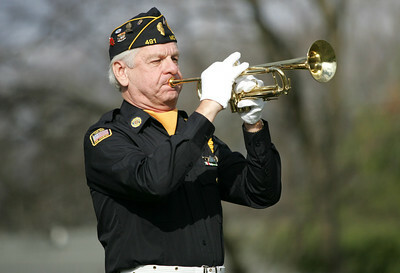 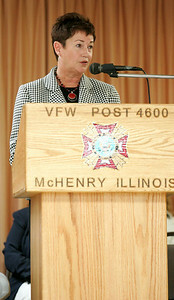 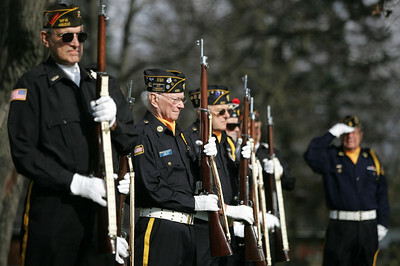 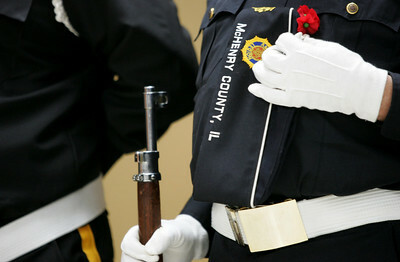 The Veterans of Foreign Wars Post 4600 held a combined ceremony with the Polish Legion of American Veterans Post 188 and the American Legion Post 491 for Veterans Day on Sunday, November 11, 2012. 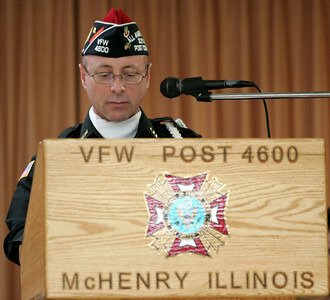 Commander Cliff Schmidt from the Polish Legion of American Veterans was this year’s master of ceremonies.